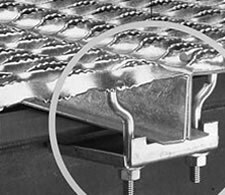 Grip Strut® Safety Grating helps reduce accident rates by providing a safer walking and working surface than any other available grating product. It’s serrated surface gives maximum slip protection and performance under practically all conditions and in every direction. 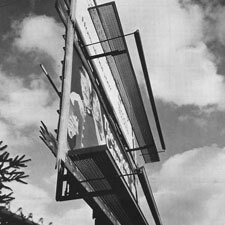 Every year industrial accidents - falls, tripping over debris, slipping on wet or greasy surfaces - cost millions of dollars in lost manhours and production. By reducing accidents, insurance costs can frequently be decreased. The serrated surface is designed in an open diamond pattern, allowing drainage of fluids, mud, chips, and other accident-causing debris. 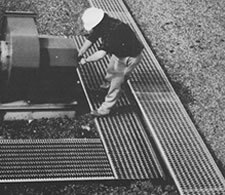 With 4-1/2” high side channels, Grip Strut® Safety Grating Walkways meet OSHA requirements for toeboards on elevated surfaces.